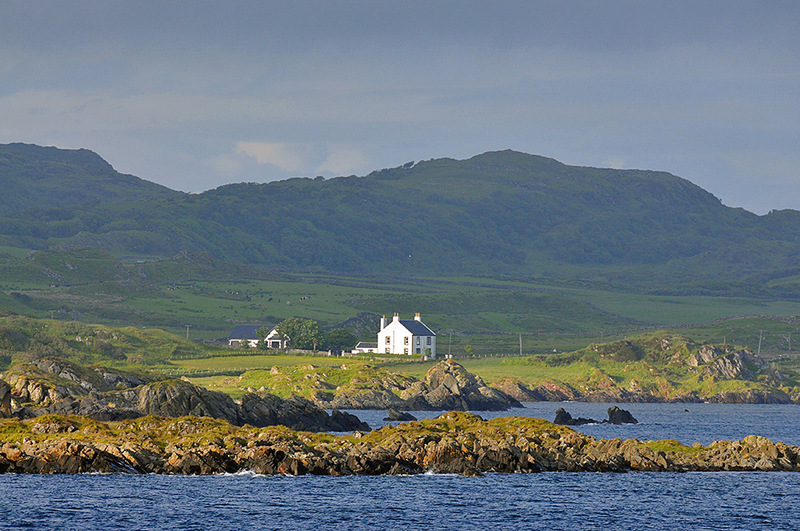 A view of The Old Excise House (now an excellent Bed and Breakfast run by Ron and Emma Goudie) near Laphroaig as seen from the Islay ferry to Port Ellen in June 2013. This entry was posted in Cloudy Weather, Landscape, New Post, Sunny Weather and tagged ferry, Islay, Laphroaig, Port Ellen by Armin Grewe. Bookmark the permalink.